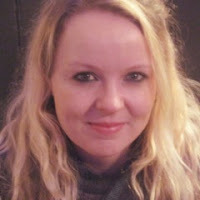 Ema Sullivan-Bissett (pictured above) is Lecturer in Philosophy at the University of Birmingham, having previously worked as a Postdoctoral Research Fellow on project PERFECT. In this post she summarises her paper ‘Biological Function and Epistemic Normativity’, forthcoming in a special issue of Philosophical Explorations on False but Useful Beliefs. Alongside Lisa Bortolotti, Ema guest edited this special issue which is inspired by project PERFECT’s interests in belief. 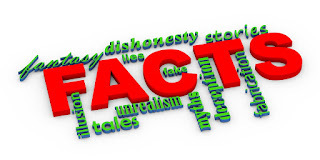 (EN1) Beliefs have truth as their standard of correctness. (EN2) There are sui generis categorical epistemic norms. I adopt a historical account of function (defended elsewhere) according to which the function of some trait is to do whatever ancestors of that trait did which got them selected. I follow many authors in ascribing to our mechanisms of belief production the proper function of producing true beliefs (see for example Millikan 1995; Papineau 1987). However, I note that some cases of false belief seem to have been produced by mechanisms doing what they were supposed to do (rather than being instances of malfunction). I introduce a second function proper to our mechanisms of belief production: that of producing beliefs which have the role of being useful in self-organisation. These organizing beliefs do not have their utility in virtue of approximating to truth, but rather in their assisting the effective functioning of the believer. I explain (EN1) by appeal to the proper function of producing true beliefs, and argue that this provides the only sense in which true beliefs are correct and false beliefs are incorrect. My explanation of (EN2) is more a denial of the phenomenon so characterized. I argue that epistemic norms are reducible to doxastic strategies which facilitate the meeting of belief’s standard of correctness which is grounded in biological function. These strategies are mischaracterized as categorical epistemic norms which bind our doxastic practice. The kinds of strategies I have in mind are those like ‘treat normal perceptual experience as prima facie veridical, honor logical inferences, and employ the inductive methods in empirical enquiry’ (Leiter 2015: 75). These are strategies which ‘facilitate successful navigation of the world and prediction of the future course of experience’ (Leiter 2015: 75). In the second half of the paper I give an error theoretic account of our epistemic discourse. As both J. L. Mackie and Richard Joyce note in their discussion of moral error theories, in claiming that some discourse commits us to systematic error, one ought to be able to give an account of why we make these mistakes (Mackie 1977: 17–18; Joyce 2001: 135). In brief, I suggest two ways in which our epistemic discourse might be in error: by positing sui generis epistemic normativity, and/or by failing to acknowledge the biological nature of epistemic normativity. Both errors mistakenly take belief’s standard of correctness and the strategies which might facilitate meeting it, to be prescriptive and categorical. Why do we take these strategies to be more heavy-duty, and to involve normative force? At least part of the answer is that creatures who tend towards judging that considerations of truth represent normative reasons for belief will be more likely to arrive at true beliefs about their environment, which is adaptive (Street 2009: 234). Similar things can be said about regulating one’s belief formation by considerations about what would be justified to believe, or rational to believe, and so on. My suggestion is that having true beliefs is adaptive, and believing in irreducible epistemic normativity facilitates the production of true beliefs. Given this, we should expect that believers would be equipped with domain-specific-regulating mechanisms specifically tailored to produce these false but useful beliefs about epistemic normativity. I conclude that my biological account of the nature of belief has the resources to accommodate belief’s standard of correctness and the epistemic practices which govern belief formation and maintenance.